Those who enter the hobby of coin collecting find out early on that, historically, coins without mint marks are made at the Philadelphia mint. The Philadelphia mint is the U.S. Mint’s main facility. Today, they even offer tours of the Philadelphia mint. 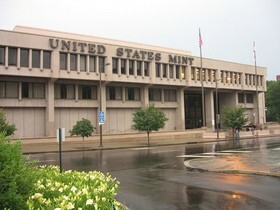 Over the decades, the U.S. Mint began operating branch facilities throughout the nation. Coins from the various branch locations would bear mint marks — so coins from those locations could be distinguished from each other. Also, mint marks early on were primarily used as a means of ensuring quality control for each mint’s output. See where the mint mark appears on each denomination of U.S. coins. So, why do some coins have mint marks, and some do not? Until 1942, the Philadelphia mint did not produce any coins with a mint mark. Then came World War II, and the U.S. began striking 5-cent coins with a silver composition to save nickel for the war effort. In 1945, the Philadelphia mint mark was removed from the nickel. The “P” mint mark would not appear again until 1979 — on the Susan B. Anthony dollar. Since then, the “P” mintmark has appeared on all U.S. coins except for the penny. Thus, it would seem that all U.S. coins without a mint mark would be struck at the Philadelphia mint, right? Coins minted in 1965, 1966, and 1967 did not bear any mint marks. This was the U.S. Mint’s effort to reduce the coin collecting activity that was to blame for a coin shortage at the time. 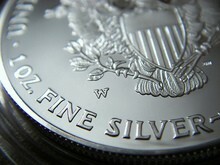 It is common knowledge that the U.S. Mint last placed an “S” mint mark on circulating coins back in 1981. But did you know the San Francisco mint and West Point, New York mint have struck pennies for circulation over the years with no mintmark? It’s true! Much for the same reason the U.S. Mint removed mint marks from coins struck in the mid-1960s, pennies struck at the San Francisco mint (after 1974) and West Point mint coins do not bear mint marks — so as to prevent collectors removing these coins from circulation solely because of their origin. West Point and San Francisco struck these pennies during the late 1970s and into the 1980s. Also, some dimes minted in 1975 were struck at the San Francisco mint. You would not necessarily know this because those dimes did not bear any “S” mint mark. Here is the U.S. Mint’s official explanation about mint marks on coins.